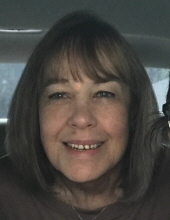 Carol Lucille Proffitt, age 65, of Brownsboro passed away on April 3, 2019 in Tyler, Texas. She was born on October 23, 1953 in Dallas, Texas to Quentin Wells and Nancy Lu MacMillian Watson. She was preceded in death by her parents; her husband, Jim Proffitt; her nephew, Marshall Wells Watson; her sister-in-law Dianne Gayle Watson. Carol was an English teacher and taught in Corsicana and currently at Brownsboro ISD. She loved her students and fellow faculty dearly. She enjoyed several hobbies including stitching and going on “stitching weekends” with her daughter and her sister-in-law. She loved her daughters and her grandchildren with everything she had. She was faithful to be at her grandchildren’s extra-curricular events and enjoyed them greatly. Carol, aka Mrs. Proffitt, will be greatly missed by her family, school family, students and all that knew her. She was a donor and through her gift many will benefit. Survivors include her two daughters, Bonnie Ledesma and husband William, Katie Olson and husband Michael; her grandchildren, Wynter, Gabriel, Chloe and Noah; her brothers, Charles Watson and Steve Watson and wife Charlene; also surviving are several nieces and nephews. In lieu of flowers memorials can be made to American Heart Association, Leukemia & Lymphoma Society, Susan G. Komen, Mental Health Awareness, SPCA of Texas, or a charity of your choice. The family would like to invite you to a Celebration of Life Memorial Service on Saturday, April 13, 2019 at 2:00 PM at Autry’s Carroll-Lehr Funeral Home of Athens. "Email Address" would like to share the life celebration of Carol Lucille Proffitt. Click on the "link" to go to share a favorite memory or leave a condolence message for the family.